On Saturday 3rd December, will take place the match they call El Clasico – the fixture that brings together the two fiercest rivals in Spanish football. 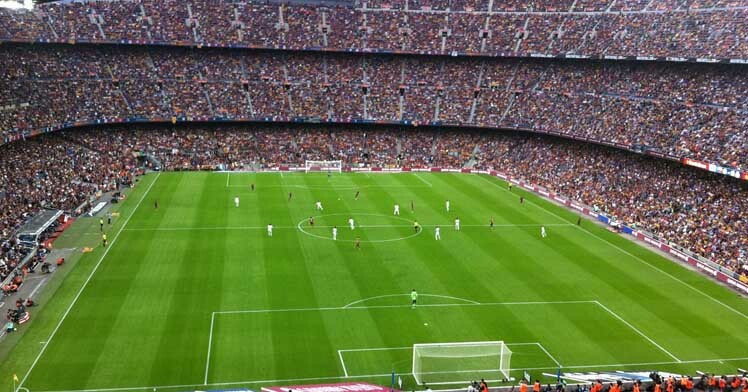 Barcelona and Real Madrid may be two of the most prestigious and successful football clubs on the planet, but that hasn’t stopped one club’s fans enviously casting their eyes towards their opposite numbers on a regular basis down the decades. As you might expect, it’s a fixture that has served up no shortage of legendary contests. 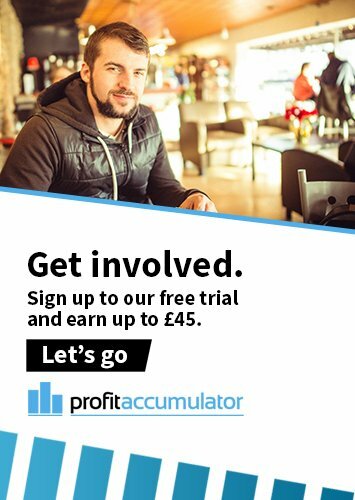 To help get you excited about a bit of matched betting on the latest running of this fabled match, here at Profit Accumulator, we thought we’d look back at 10 of the most memorable El Clasico moments. Or the “Derbi de la Verguenza”, as the Spanish would have it – either way, there was only one name on most supporters’ lips on a particularly fateful day back in 2002, that of Real midfielder Luis Figo. The Portuguese international had made a surprise transfer from Barcelona to their hated rivals in 2000, and on his first appearance at Camp Nou in a Real Madrid shirt, he had avoided taking corners to avoid being in close proximity to the Barcelona fans. This November 2002 match, however, was a different matter – and for some reason, it only sparked even more wrath from the opposition faithful, with lighters, bottles, golf balls and even a pig’s head being thrown onto the pitch. At times, we’re not quite sure how the winger got out of his old stomping ground in one piece. Barcelona’s legendary period of dominance in the early ‘90s under the tutelage of Johan Cruyff came to a humiliating end in 1994 when they were mauled by AC Milan in the Champions League final. However, the 1993/94 season was another successful one domestically as La Blaugrana clinched their fourth consecutive La Liga crown. One of the undoubted highlights of that campaign was a 5-0 walloping of their traditional adversaries, thanks to a hat-trick from Romario, a trademark Ronald Koeman free kick and a goal from substitute Ivan Iglesias. It wouldn’t be fair to highlight the aforementioned astonishing result without also making reference to the 1995 fixture in which Los Blancos showed their ability to return a favour, racking up a 5-0 win of their own over their old nemesis. It was another demonstration of the dramatic swing in the balance of power in La Liga from the Catalans to the Spanish capital after Michael Laudrup’s switch between the two clubs – in effect, ‘doing a Figo’ before there was such a thing as ‘doing a Figo’. However, it was not the Dane but instead the Chilean Ivan Zamorano who grabbed the headlines on this particular day, netting himself a hat trick. If you wanted to win the European Cup at any point during its first five years from 1955 to 1960, there was only one club for which you could play if you were to even stand a chance – Real Madrid. Los Merengues had been the exclusive winners of the continent’s greatest footballing prize since its inauguration, and if you wished to see a demonstration as to why, you only needed to look to the team’s demolition of Barcelona over two semi-final legs in 1960. Both matches were a 3-1 success for the whites, with Hungarian legend Ferenc Puskas a particular tormentor due to his three goals. Real might have felt that they had reason for optimism as new manager Jose Mourinho’s first encounter with Pep Guardiola’s fabled Barcelona side loomed. After all, no Los Blancos manager had enjoyed such an impressive start in the history of the club. Alas, it all went horribly wrong for the former Chelsea and Inter Milan coach on this day in November 2010. Xavi opened the scoring, then Pedro, David Villa (twice) and young substitute Jeffren added further goals in a stunning team performance largely orchestrated by Argentine maestro Lionel Messi. The Los Blancos faithful may have been hostile towards Figo, but the response to their 3-0 humbling by their rivals on their own ground in 2005 brought a very different reaction – of appreciation of the world-class player that had orchestrated such a thumping. That man was, of course, Ronaldinho, the just-crowned European Footballer of the Year whose two goals – both achieved by cutting in from the left, easily beating Sergio Ramos and firing past Iker Casillas – were the perfect showcase for the Brazilian playmaker then at the height of his powers. After three consecutive La Liga crowns for Pep Guardiola’s all-conquering Barca side, Mourinho’s Real Madrid finally got one over their old rivals in the 2011-12 season, winning their first league title since 2008. However, for all of Real’s consistency, there was a nagging suspicion among many observers that the Catalans were the better side. Cristiano Ronaldo changed all of that with his winner against Pep’s men at Camp Nou in April, for which he rounded Victor Valdes before making “calm down” gestures to the crowd. Finally, the Portuguese winger was beginning to emerge from the unenviable shadow of Lionel Messi. Speaking of the Argentine genius, how many better breakthrough matches have there been than the El Clasico performance that the Rosario native delivered in front of his own fans in 2006/07? Then still just a teenager, Messi notched a hat trick, including a last-gasp goal to deny Fabio Capello’s Real victory against a 10-man Barca. It swiftly made him the stuff of Catalan legend, but it wasn’t that bad a result for Los Merengues either, as it arguably kept the Italian in his job and inspired the team to an unlikely La Liga title a few months later – David Beckham’s first for the club. Forget his controversial 1986 World Cup semi-final brace against England – for many fans, Diego Maradona’s finest moment will always be the special goal he scored for Barca against their hated adversaries at their own ground in a heated 1983 Copa del Rey tie. Hurtling towards goal, the controversial Argentine took the ball around goalkeeper Agustín and dummied his shot to deceive defender Juan José, who ended up crashing into the post, helpless to prevent the forward’s cool finish. It’s no wonder Real Madrid supporters rose to their feet to applaud the mastery of ‘El Diego’. Sticking with the Copa del Rey, in 2014 came something of a ‘now or never’ moment for Gareth Bale, the Welsh winger signed by Real for a cool £85 million world-record fee the previous summer. Los Blancos faced a cup final in Valencia against Barca, but without the injured Ronaldo. The former Tottenham man had been accused of being a “flat track bully” in his spell at Real to that point, faring well against lesser sides but not delivering in the big matches. His decisive goal five minutes from time to conquer the Catalans, outsprinting defender Marc Bartra from the halfway line before calmly slotting past keeper Jose Manuel Pinto, helped to change all of that.